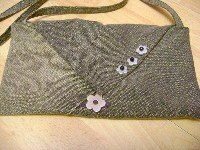 You don't need to be brilliant at sewing to follow these instructions. 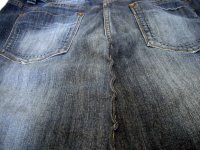 The most important thing to remember is that the old jeans you are using are about to be thrown away! 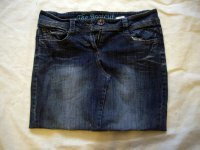 The Recycle Old Jeans Into A Skirt Project. 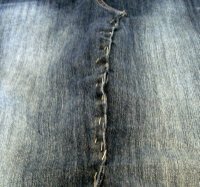 Start with a pair of old jeans that you no longer want to wear. 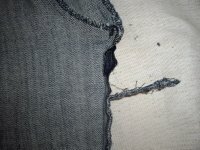 Take the inside seam of both legs and cut off the bit that is oversewn to stop it fraying. 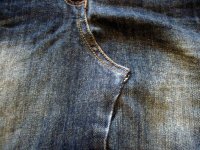 Do this all the way from the crotch to the bottom hem. Unpick these seams again all the way from the crotch to the hem. 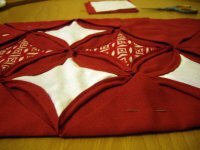 Pin together the front two seams so that they form the front of the skirt. Pin the crotch bit over to one side so that it lies flat and also fold the seam over a little so that you can sew it straight onto the front panel. 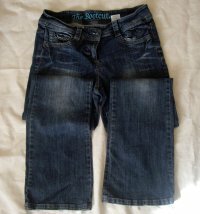 To get this recycle old jeans project right, its worth taking some time to put the jeans on at this point and make sure you are happy with the shape. 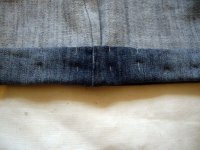 Sew along this pinned seam so that it is secure and lies flat. Carry on down until you reach a little longer than you want the skirt to be. 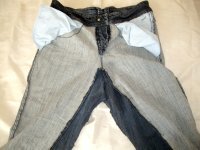 sew the back seam the same way that you did the front. The next step is to decide how long you want the skirt to be. Put it on again and get a friend to pin it to the right length. You can do it yourself but it's a bit of a struggle. Make sure you double the seam over so that it doesn't fray when you put it in the washing machine. Nearly done recycling your old jeans! 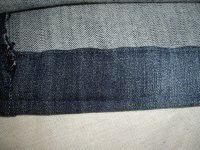 Just got to get this hem sewn. 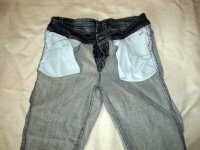 If your jeans are made out of stretching material it's important to sew two lines of stitches. I do this anyway as it looks a lot neater. 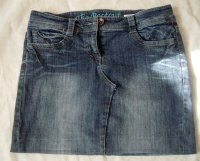 Thats it :) I hope you like your skirt and that you have enjoyed this project to recycle old jeans.